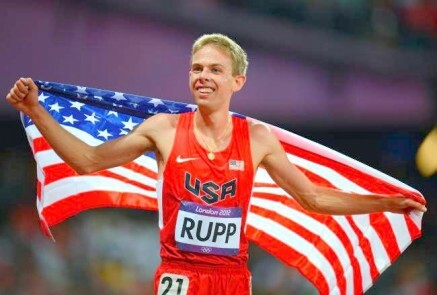 6th July 2016 – Galen Rupp (USA) qualified for his second event at the Rio Olympics by taking victory in the US 10,000m trial. Within the notoriously tough US system that operates the first three past the post format there is never room for error, but Galen was a picture of composure as he ran to his eighth successive 10,000m title. Weathering a challenge on the final lap, Galen moved clear with 200m to run and crossed the line in 27:55.04. He will attempt to make it a hat-trick of Rio qualifications when he contests the 5000m later this week. One of the most eagerly anticipated events is always the men’s 100m final and Trayvon Bromell (USA) lined up for the final after taking victory is his semi-final with a time of 9.86 seconds. Trayvon showed the championships mentality that brought him the World Indoor title earlier this year and again performed when it matters most. In a high quality race he equalled his PB of 9.84 seconds to take second place and qualify for his first Olympic team. In the women’s 100m Jenna Prandini (USA) also won her semi-final in a windy 10.86 seconds. Jenna placed fifth in the final to earn a spot on the 4x100m relay team and still has the 200m to run. Others competing for places are Matthew Centrowitz (USA) in the 1500m, Shannon Rowbury (USA) 1500m, Mary Cain (USA) 1500m, and Jordan Hasay (USA) 5000m.